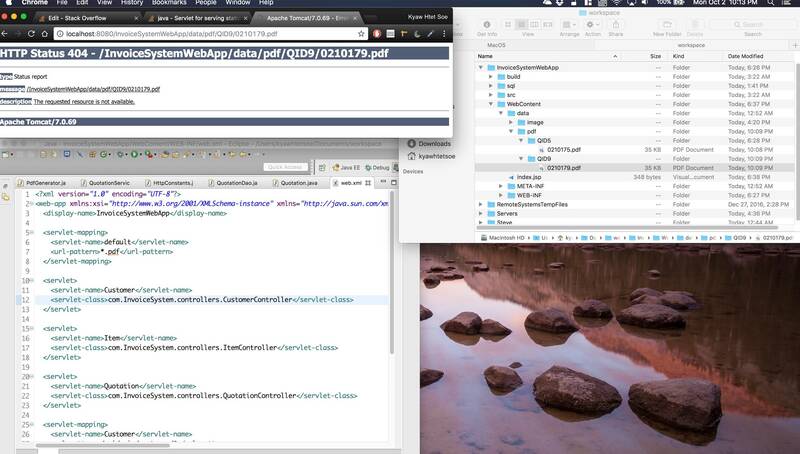 I am creating a dynamic web application in Java using Eclipse. My web application basically creates PDF files by getting information from IOS app. directory of the Eclipse project. that I can display PDF files in my IOS app, the app needs to know the URL of the PDF file. However, the Tomcat server cannot display the PDF file in the browser. So how do I display the generated PDF files in the browser first? Do i need to do a servlet mapping which would be difficult as the PDF files are generated dynamically. Note that you're using a default servlet and not your custom servlet that handles dynamic content. 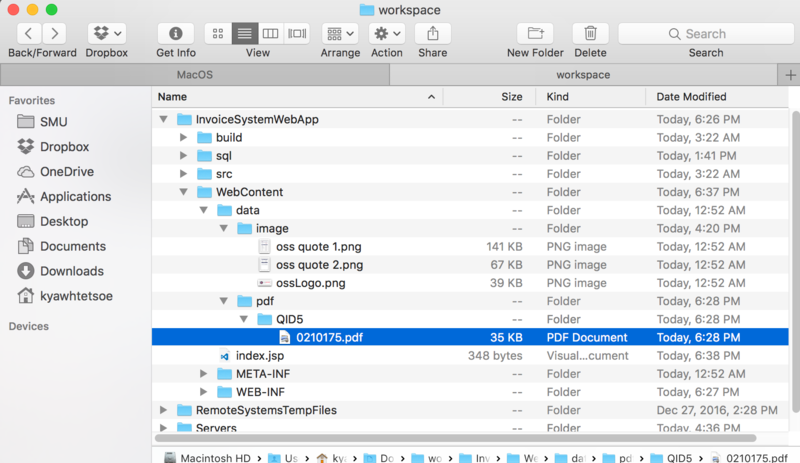 This example assumes that you store your PDFs to the file system (in a folder accessible to your web app). Just because they're created on-the-fly (dynamically) doesn't matter as long as you return an URL to the generated file. Now, when you click that link (either in the browser or your iOS app), the PDF will be downloaded to your client.